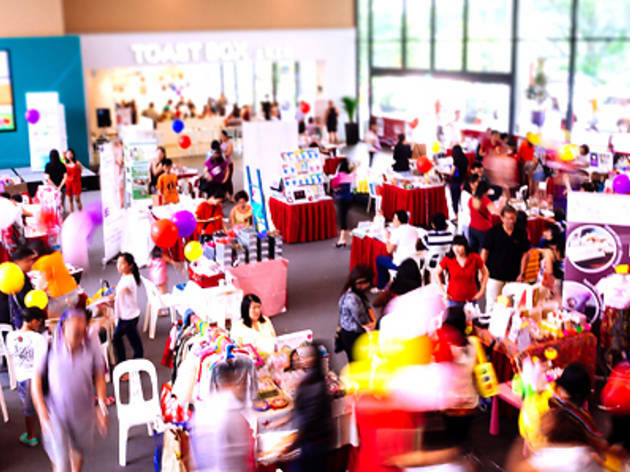 Mumpreneurs (mother entrepreneurs) will bring their wide range of services and crafts to the bazaar: learn about home furnishing, get career tips and grab some party planner name cards at the fair. 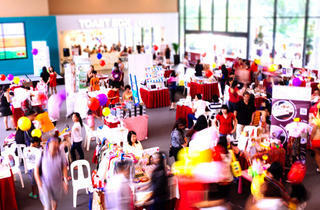 Kids will be delighted to get free glitter tattoo and face painting, as well as goodie bags and balloons. Other activities to look out for include the Mothers-Only Fashion Show (20 Sep) with mummy-models wearing Noel Caleb's designs, and the Miss Tiara Society 2014 (21 Sep) brought forth by The Tiara Society, where girls between ages four and seven vie for the winning crown. Another highlight is the Singapore Mumpreneur Awards, rewarding mothers for their efforts in starting a business and taking care of their children at the same time. Voting has commenced on their site till 12 Sep, while the award ceremony takes place on 20 Sep.